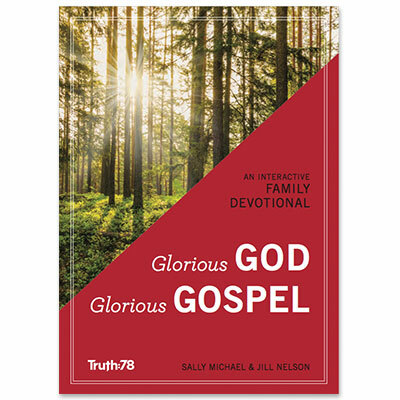 Sally Michael is a co-founder of Truth78 (originally called Children Desiring God) and has authored many resources for both children and adults, including 20 curricula, 10 books, and several booklets. For 16 years, Sally was also the Minister for Resources and Program Development at Bethlehem Baptist Church in Minneapolis, serving under the leadership of John Piper and David Michael. Her ministry has been marked by a passion for developing God-centered resources for the spiritual development of children. Sally and her husband, David, live in Indianapolis where they serve families at College Park Church. They enjoy spending time with their daughter Kristi, daughter Amy and her husband Gary, and three grandchildren. Jill Nelson has taught Sunday school for more than 30 years. Her desire for God-centered, Gospel-focused, biblically rich teaching led her to write children’s and youth curriculum for Truth78 (originally called Children Desiring God). Some titles include: Jesus, What a Savior, The ABCs of God, To Be Like Jesus, and Your Word Is Truth. Jill also develops training seminars, articles, and other resources relating to children’s and youth ministry. She and her husband, Bruce, live in the Minneapolis area and enjoy spending time with their daughter Sarah and her husband Matt, son Jacob and his wife Amanda, and five grandchildren.